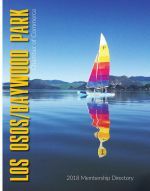 The second annual Festival de Osos (Bear Festival) will celebrate the history of our community’s origins as La Canada de Osos. A community wide event that celebrates the arts, community and local business. Community artists, creative professionals, students, organizations and local businesses will be invited to create custom bears to be displayed throughout Los Osos/Baywood Park from October 20th through November 25th. PARTICIPATION APPLICATION DEADLINE OCT. 2nd.